Although neither her birthday nor her date of death is known to us, today we want to point out a rather prominent woman in science of which you might never have heard of unless you know your way around in the history of medicine. Trotula of Salerno lived in the 11th or 12th century AD and was a female physician, alleged to have been the first female professor of medicine, teaching in the southern Italian port of Salerno, which was at that time the most important center of medical learning in Europe. In the high-medieval period Salerno was “the most important center for the introduction of Arabic medicine into Western Europe”. The School of Salerno, the Schola Medica Salernitana was the world’s first medical school. Tt was the most important source of medical knowledge in Western Europe at the time. Arabic medical treatises, both those that were translations of Greek texts and those that were originally written in Arabic, had accumulated in the library of Montecassino, where they were translated into Latin. In this way the received lore of Hippocrates, Galen and Dioscorides was supplemented and invigorated by Arabic medical practice, known from contacts with Sicily and North Africa. 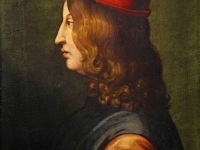 As a result, the medical practitioners of Salerno, both men and women, were unrivalled in the medieval Western Mediterranean for practical concerns. Salerno favored the development of what would become the three most important specialized texts on women’s medicine in medieval western Europe. 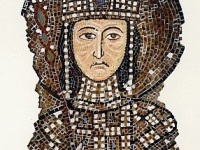 Only very little is known about the life of Trotula of Salerno. She may have belonged to the wealthy di Ruggiero family and may have been married to the physician Johannes Platearius and had two sons. Some scholars believe that both Trotula and her husband authored practica brevis, a work that discusses medical diseases. Trotula is alleged to have written a major work on women’s medicine in medieval Europe, On the Diseases of Women (De passionibus mulierum). She is also alleged to have been the first female professor of medicine and the first female gynecologist. Some scholars assert that Trotula taught at the School of Salerno, earning the title of Magistra Medicinae. At least the evidence that numerous women have graduated from the School of Salerno since its inception validates the fact that Trotula herself attended the institution. As there is little documented evidence about Trotula, there has been much conjecture as to what happened within her life. There are many that believe that she was a revolutionary woman that existed and was indeed one of the first female medical figures. There is further evidence that Trotula existed within the literature that came out of the middle ages. 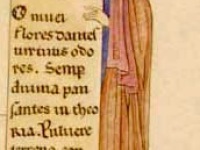 Geoffrey Chaucer in his widely known Canterbury Tales references Trotula’s works in his Wife of Bath prologue. Within the prologue the Wife of Bath talks about her fifth husband and the books that he reads constantly. One of the books that Chaucer has him reading is a work by Trotula , The Trotula Major, and it is implied that even the Wife herself was very familiar with the practices presented in this book. Even though Trotula’s authorship has never been satisfactorily established, feminist medical historians are convinced that she existed because of the connotations of the word “trot” that can be found within her name. A trot was specifically a woman who trotted for a living, she was too old to be attractive and in her business she taught tricks, tips and lessons about women’s sexual pleasure. 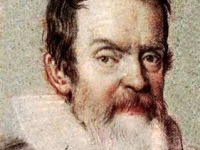 When in 1566, Caspar Wolff published his own edition of Trotula, authored by “Eros Juliae”, this changing of her name fueled the belief that Trotula was not a woman but a man. Since then, Trotula’s gender and existence has become a subject of debate amongst scholars. Trotula’s works are considered the”most widely circulated medical work on gynecology and women’s problems, found in Latin, French, English, German, Flemish, Catalan. The 126 manuscripts of the Trotula that are found represent only a small portion of the original number that circulated around Europe from the late 12th century to the end of the 15th century. At yovisto, you can learn more about the early science of medical history ‘Classical Views of Disease: Hippocrates, Galen, and Humoralism‘ by Frank Snowden from Yale University.